For over forty years, AT have been making quality home linen, kitchen napery and accessories loved by people Australia wide. Their Australian-designed products are made with care and will look wonderful in your home. 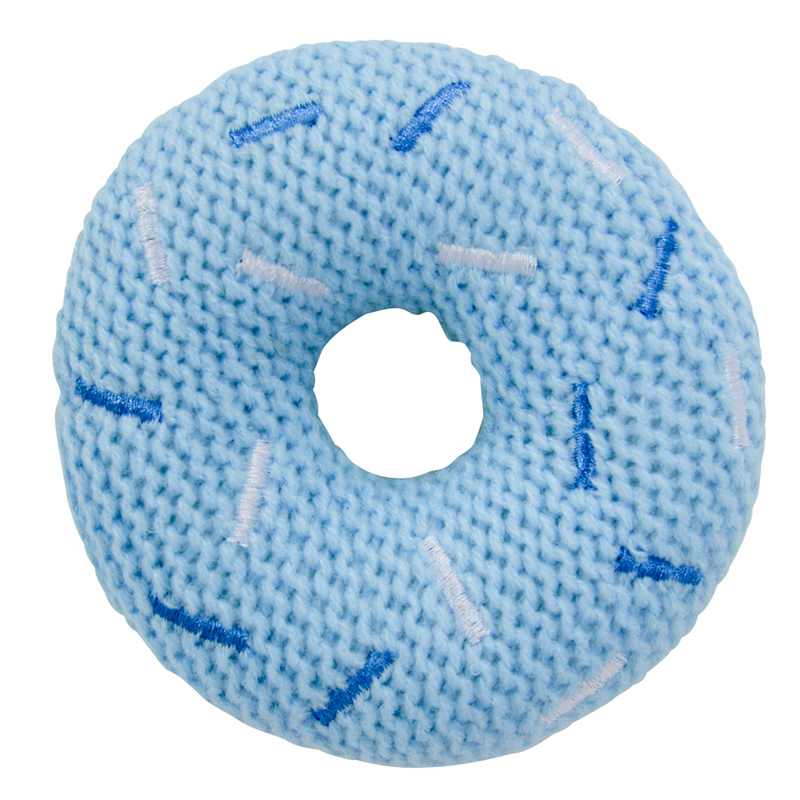 Well, now your little one can rest easy and stay entertained with this Donut Knit Rattle. Suitable for all ages and cosy to hold, this adorable donut has been knitted from polyester and even features finely-stitched sprinkles on top. Perfectly-shaped for little hands and equipped with a pleasant-sounding rattle, this toy is sure to add some sweetness to playtime. Includes a small rattle inside the donut. Complete with finely-stitched sprinkles on top.